Founded in 1924, by Isidoro Bortolotti, born in Maiano, Udine, Italy in 1897. After completing the third grade, which was typical of all children of humble laboring folk, he accompanied his uncle to Germany, at the age of nine years old, to learn the terrazzo trade. In 1914, he returned to Italy and served in the armed forces, was taken prisoner, and spent 13 months in the enemy's hands. In 1920, they honorably discharged and commended him. After his discharge, he set out for America and settled in Omaha, Nebraska. Already skilled in terrazzo and mosaic work, he had no trouble finding a job. From 1920 thru 1923, he applied himself diligently to learn the language, the customs, and the American point of view. He continued to master all the details of his trade while in the employ of others. In 1924, he decided to go into business for himself. Things were not easy starting out. He continued with his knowledge of the trade, a boundless will to work, intelligence, and did not bend in the face of obstacles and difficulties. 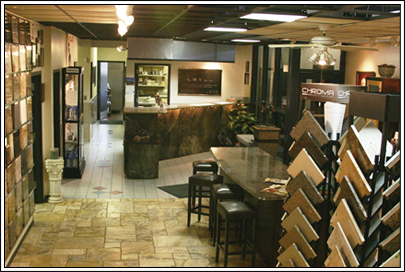 Thus, was the formation of the Universal Terrazzo & Tile Co.
Thru the years, the Company expanded its product lines to include tile, both resilient and ceramic, coatings for commercial and industrial applications, stamped concrete, paving bricks, and natural stone. The firm continued to enjoy success in Nebraska, Iowa, Kansas, Missouri, North and South Dakota, and Illinois. In 1925, Isidoro married Michelina Cominoli, and had three children. They provided their children with the education that they did not have, grade school, high school, and college. The three children, in turn, worked at the company, both in the field and later handled the administrative duties. 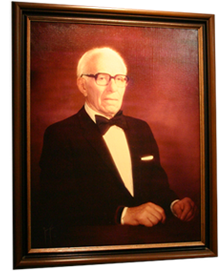 In the 70's, Isidoro's two sons began the purchasing of the company from their father, who still worked out in the field with his employees. He continued to work until the late 80's, since that was all he knew was hard work. He passed away in 1990, leaving behind a legacy. In 2011, Terry Bortolotti, purchased 100% of the Company. He decided to concentrate on the natural stone products of the business. To achieve this end, the Company made an investment in the latest state of the art machinery to produce a quality product, efficiently and economically. The Company now uses a stone CAD system and digitizer, four CNC machines, two edge polishers, a water jet and three bridge saws, and one slab polisher for the production of its natural stone. With this capability of producing quality work, the Company has competitively furnished, fabricated, or installed jobs in Arizona, California, Colorado, the Dakotas, Illinois, Kansas, Missouri, Montana, Nevada, New York, and Wyoming. Today, Terry, is involved in the Company, giving personal service to our clients and their employees, and giving a personal touch of quality to the finished products.